Many people strive to have the perfect smiles they see in the magazines and on television, but they may think they could never accomplish it. A beautiful smile always sends a positive message to the people you interact with, and can definitely have positive effects on the way you feel about yourself. If your smile is less than perfect, there is no need for you to feel discouraged feeling as though you will never get the smile of your dreams. The doctors at Central Dental Associates are able to turn your dreams into a reality by offering porcelain veneers to their patients at their Norwood, MA dental office. Porcelain veneers are wonderful because they are used to completely cover any sort of flaws you may have residing within your smile. If you have a smile that is chipped, gapped, cracked, misaligned, or stained, porcelain veneers mask it all, only revealing an immaculate smile. Also, porcelain veneers are able to give a completely rejuvenated smile in a relatively short amount of time. The process begins with a consultation with one of our doctors, as they will have to assess the state of your smile and determine whether or not porcelain veneers are right for you. You will also have that time to bring up any questions or concerns you may have. 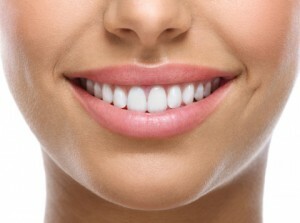 We will take impressions of your smile, and send them to a dental lab to have your custom veneers made. When your veneers are being made, we will keep your smile goals in mind as well as your facial aesthetic, making sure your new smile looks as natural as possible. Your natural tooth will be prepared by removing a small bit of enamel. This ensures that your new smile will have space in your mouth. When your veneers are ready, they will be placed on your prepared tooth and made permanent with dental resin cement. Once everything is done, your smile is beautiful and perfect! If you would like our doctors to help revolutionize your smile using dental implants, contact our office today!